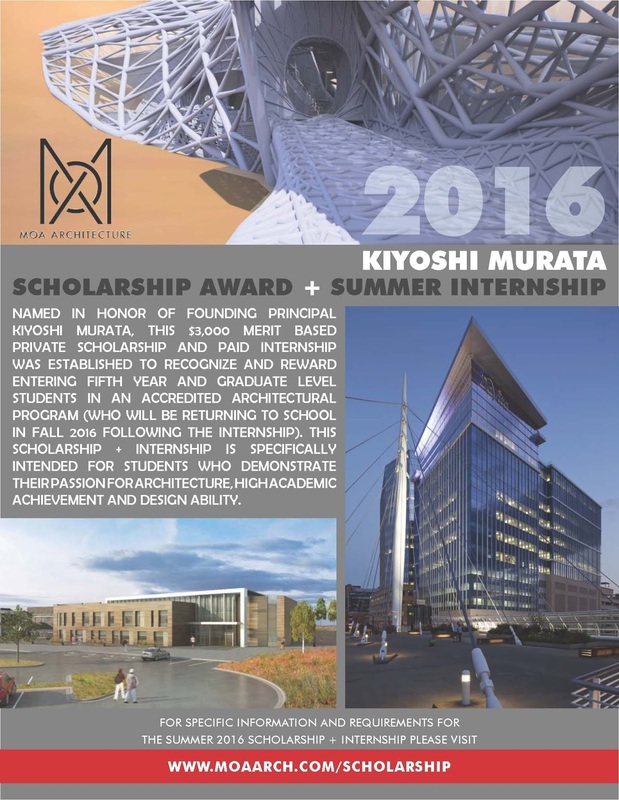 Named in honor of founding Principal Kiyoshi Murata, this $3,000 merit based private scholarship and paid summer internship (plus travel and living expense reimbursement) was established to recognize and reward entering fifth year and graduate level women and minority students in an accredited architectural program. 2016 Kiyoshi Murata Scholarship + Internship: please go here to download application form and other specific information and requirements. Like MOA Architecture on facebook to stay apprised of all 2016 scholarship + internship updates!